Sports Tours International is taking reservations now for amateur cyclists who want to participate in L’Étape du Tour 2018, an opportunity to tackle a mountain stage of the 2018 Tour de France. MANCHESTER, UK– Sports Tours International, the UK-based provider of vacations built around nail-biting, world-class cycling and running competitions, is taking reservations now for amateur cyclists who want to participate in L’Étape du Tour 2018, an opportunity to tackle a mountain stage of the 2018 Tour de France. L’Étape du Tour 2018 is scheduled for Sunday, July 8, 2018, in Annecy, France. The finish is at Le Grand-Bornand, a resort in the Auvergne-Rhône-Alpes region. This finish was used in the 2009 Tour de France on Stage 17 when Alberto Contador famously went against team orders and left Lance Armstrong on both the Col du Romme and the Col de la Colombière. Riders experience highs and lows while traversing a distance of 169km and climbing to heights of up to 4,000km, just like the pros when the 2018 Tour de France begins on July 7 and runs through July 29. For example, the Col de la Colombière will be the final climb for Stage 10 (Annecy to Le Grand Bornand, 159km) on July 17. Riders and their guests will enjoy a festival of cycling over the weekend in Annecy. Lake Annecy is a focal point of Annecy, an alpine town known for canals and cobbled streets. Annecy is well known for the heritage of its buildings and natural landscape. It is situated beside one of the purest lakes in Europe, at the foot of the Alpine massifs of the Aravis and the Bauges, but close to Switzerland and Italy. 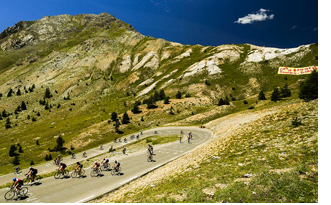 Sports Tours International’s L’Étape du Tour 2018 four-day/three-night tour package includes guaranteed entry when booked through Sports Tours International. With direct-to-the-public entries nearly sold out, Sports Tours will become one of only a handful of operators who can guarantee entry to the event. Also included in the package are accommodations at a range of hotels, roundtrip airport transfers from Geneva, overland bike transfer, bike rental and storage, complimentary coach accommodations for traveling companions to witness the excitement, three breakfasts, and, depending on the hotel, three dinners, staff support along the race course and more. Per person, double occupancy rates begin at £519 and go up to £699 for four-star accommodations. Self-drive packages are also available. While guaranteed, an additional cost is the actual entry fee to L’Étape du Tour 2018. For non-riders, a free coach from Annecy to the finish in Le Grand Bornand is offered with return to Annecy later in the day. For more information see https://www.sportstoursinternational.co.uk/events/etape-du-tour/. Sports Tours International (https://www.sportstoursinternational.com) suggests booking Tour de France event-viewing packages early to guarantee being in the heart of the action. For more information on available packages and to book visit: https://www.sportstoursinternational.co.uk/event-categories/tour-de-france/. For more information on competitions worldwide visit online: www.sportstoursinternational.com, email: sales@sportstoursinternational.co.uk, or call: (+44) 161 703 8161. SRide & Seek is offering a new cycling tour across Corsica, Sardinia, and Sicily. (Sydney, Australia) — Ride & Seek is offering a new cycling tour across Corsica, Sardinia, and Sicily. Split into three weeklong stages, the “3 Islands Tour” is a journey through the history, food, architecture, and traditions of these Mediterranean jewels. Guests ride from north to south, beginning in Corsica, home of Napoleon. Its mountainous north contrasts beautifully with the idyllic beaches and fishing villages. Next, riders head to Sardinia, an island of towering cliffs, beach coves, and history. The final stage is spent biking Sicily where rolling farmland, volcanoes, and a stunning coastline is sprinkled with classical sites in exceptional settings. The 21-day, 1,550 km tour is slated for April 28-May 19, 2018 and starts at $10,440 USD. Weeklong stages start at $3,820 USD. “The exceptional diversity of these islands is represented through the numerous civilizations and cultures that have left their mark, amazing gastronomic variations, strikingly rugged interior landscapes, stunning coastlines of white beaches and emerald waters, and locals with an incredibly strong sense of place,” said Ride & Seek President Dylan Reynolds. The average daily riding distance will be around 80km, and extra loop rides will be available for those wanting more hills and ride time. Meals are a centerpiece of the “3 Island Tour,” with an emphasis on local cuisine and wine. Lodging consists of 3 and 4 star boutique hotels. · Ride through UNESCO listed Calanques de Piana. · Cycle down Corsica’s Costa Verde – one the most stunning coastal roads in the world. · Visit Tharros – a sacred site for the Phoenicians in Sardinia. · Explore UNESCO listed Valle di Templi in Agrigento. · Discover the city of Syracuse – home to Archimedes and a rich Greek heritage. For more information, visit http://www.rideandseek.com/epic/3islands. Freewheel Holidays offers a family-friendly biking trip to Costa Brava, Spain in winter. MANCHESTER, UK– As the long days of summer fade into fall, and avid cyclists can follow the sun south to warmer climates. 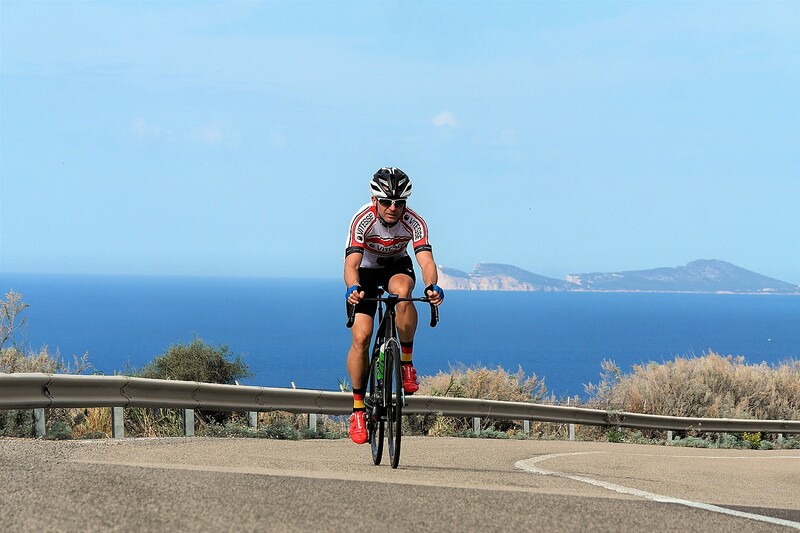 Freewheel Holidays, a UK specialist in cycling vacations, arranges week-long bespoke, self-guided bicycle vacations in Sardinia (Italy), on the Costa Brava (Spain), in the Algarve (Portugal) and on Lanzarote (Canary Islands). Sardinia Family Cycle Tour is an 8 day/7 night vacation in Sardinia bicycling over terrain graded “easy” and over distances that can be tailored to meet family needs. Daily rides range from 20km to 36km. The itinerary is also flexible with choices on one day, for example, to ride to a beach famous for its turquoise waters or to board a ferry to a village where locals fish for red tuna and where surrounding lagoons are populated by flocks of pink flamingo. On some days vineyards and olive groves vie for attention with ancient ruins, Roman roads, vestiges of the Phoenicians and always beaches. The per person double rate is from £549; rates for children ages 3 to 12 are available. Included are seven nights accommodation with breakfast, bike rental, luggage transfers, welcome meeting, detailed route notes and maps and 24-hour emergency/service telephone access. 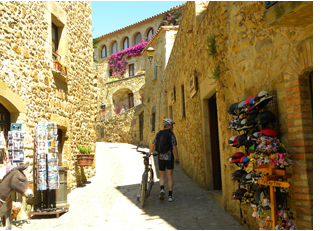 This tour is offered year-round (http://www.freewheelholidays.co.uk/tour/sardinia-cycling-holiday). Guests on the 8 day/7 night Algarve Coast to Coast bicycle vacation enjoy “easy” to “moderate” cycling on the Ecovia do litoral, a dedicated cycle route in Portugal that links Vila Real de Santo António on the Spanish border with Cabo de São Vicente (Sagres) in the west. This route that requires cycling up to 40km on some days combines trails in nature preserves with stunning coastal views and beach access. There are also linked stretches on traffic-calm or car-free routes. Fishing villages that date to Roman times, Moorish architecture and cafes heralding coffee and wine breaks blend into the horizon that’s the sea. The per person double rates begin at £779. Included are 7 nights accommodation with breakfast, return transfers from Faro Airport, bike rental, luggage transfers, detailed route notes and cycling maps and 24-hour emergency/service telephone access. Departures may be scheduled any day of the year (http://www.freewheelholidays.co.uk/tour/algarve-coast-to-coast-7-nights). Lanzarote in the Canary Islands may not seem an obvious choice for a cycling holiday, but here’s one island in the Canaries that offers easy access, year-round sunshine, minimal rainfall, some of the most dramatic and fascinating landscapes (think volcanoes) in Europe. Restrained development has preserved the best characteristics of this often-overlooked paradise. Fine beaches and quality hotel and rural villa accommodations are laced into this 8 day/7 night vacation on two wheels. The terrain is classed “moderate” with some daily rides covering up to 58km. Routes can be modified for families. A native son, César Manrique, who fought in the Spanish Civil War, left his mark artistically and in architecture on Lanzarote. Guests have an opportunity to view some of his work. They take in a volcanic cave and another volcanic landscape along a beach, cycle and walk under innumerable palm trees in towns with Moorish names, and they tour the wine-producing area of La Geria. A waterpark and go kart attraction add to the family fun. The per person double rate is from $809. Rates for children are available. Included are 7 nights accommodation with breakfast, bike hire, luggage transfers, detailed route notes & cycling maps and 24hr hotline assistance service. (For details on this year-round, self-guided adventure see http://www.freewheelholidays.co.uk/tour/lanzarote-7-nights-self-guided). To check trip availability, make reservations, or to find out more about Freewheel Holidays’ leisure cycling tours call +44 (0) 161 703 5823, email info@freeholidays.com or visit www.freewheelholidays.com. A division of Sports Tours International, Freewheel Holidays (http://www.freewheelholidays.co.uk/) specializes in self-guided, expertly supported European cycling holidays that strike the perfect balance between leisure pedaling and immersive sightseeing. The company offers easy to moderate cycling programs designed with special appeal to European and North American travelers. Guests cycle on their own, with enroute assistance and distinctive accommodations expertly chosen and secured by the company. A portfolio of over 40 established European holidays offers riders of all levels a freedom of choice. The company features a range of 4, 5, 6, 7 and 9 night itineraries to 12 European countries including the UK, Austria, France, Holland, Czech Republic, Italy, Malta, Switzerland, Spain, Germany, Sweden and Portugal. The majority of tours are self-guided with the exception of a few fully-guided vacation packages in Croatia, France, Italy and Prague to Vienna. The company also offers family-focused, coastal, wine lover and solo traveler holidays. 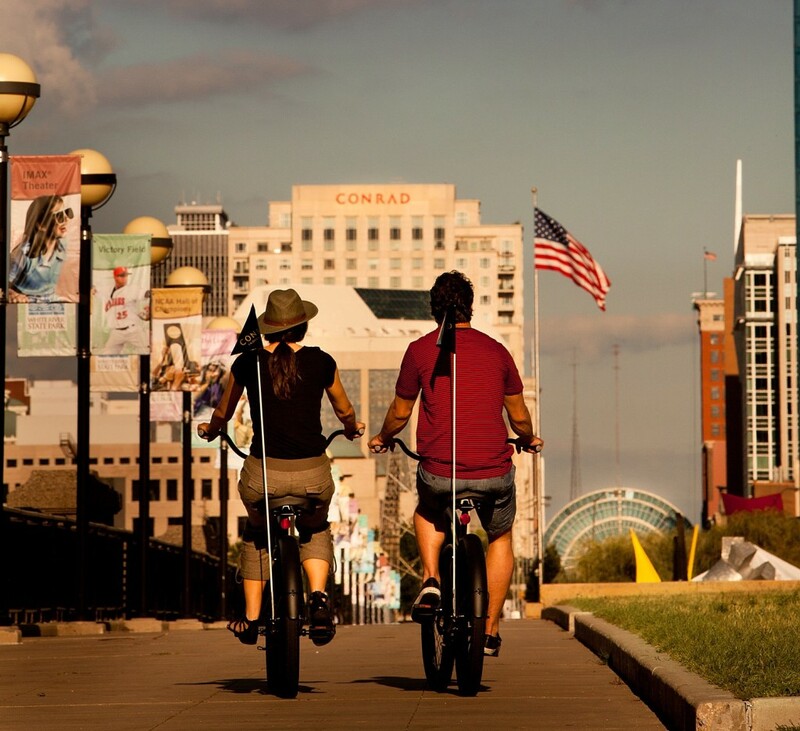 o The Conrad Indianapolis has a fleet of Conrad Cruisers available for guests to use complimentary during their stay. Every Sunday from 8:30am to 2:00pm, the hotel offers guests to join a local Sunday tradition. Every Sunday, locals and tourists take to the “Ciclovía,” or cycleway, when certain streets close for automobiles and exclusively open for cyclists and pedestrians. During these hours, guests can enjoy 120 Km of cycleway across the city. The Waldorf Astoria Amsterdam offers complimentary bikes, on a first come first serve basis, which have to be returned before 10pm. The hotel can also arrange private guides to show guests the highlights of Amsterdam, Broek in Waterland or down along the Amstel to Oudekerk. Grand Wailea guests can borrow one of 12 adult road bikes at the property and head out for an island adventure. Take a ride down La Perouse Bay, named for the French explorer, and the site of Maui’s most recent volcanic activity formed 900,000 years ago. Located at the valet desk in front of the hotel, bikes are available first-come, first-served daily from sunup to sundown. Guests staying at Boca Raton Resort & Club are able to enjoy the coastal views of the Atlantic Ocean, Intracoastal Waterway, and historic Mizner Village with the ease and breeze of its four neighboring bicycle routes. From 6 a.m. until 5:30 p.m. guests can rent bicycles from the resort’s Health Club and cycle at their own leisure around the resort’s 356 acres, or along any of the four designated bicycle routes ranging from one to eight miles long. The Youth Friendly route is 1-1.5 miles long and stretches along the Intracoastal Waterway, providing a scenic, short and sweet rides even the youngest cyclists will enjoy. Bicycles costs $15 per person per hour and have no age restrictions. 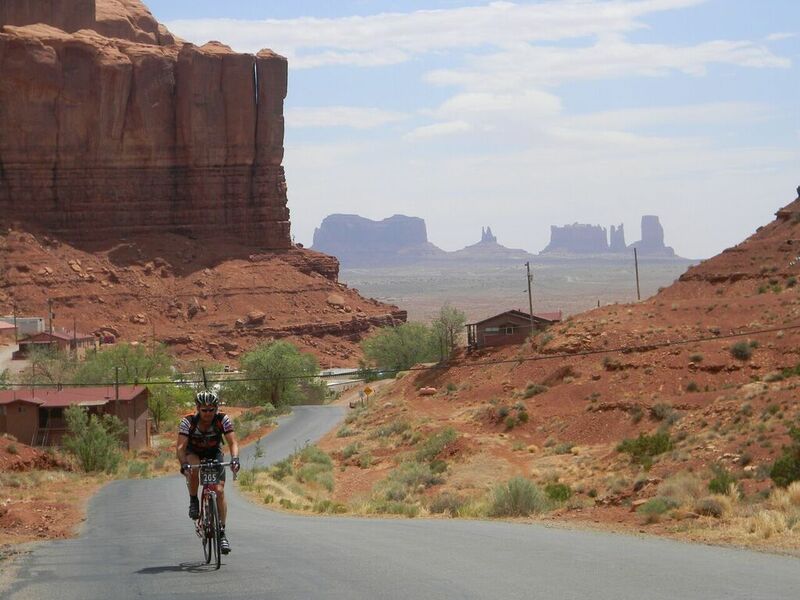 Here’s a sneak peek of what’s in store for bicycle enthusiasts in 2015 from trail blazing Bicycle Adventures http://bicycleadventures.com/, a Pacific Northwest-based active travel company known for its two-wheel tours in North America, Hawaii’s Big Island and New Zealand. The company is introducing one new Epic Tour, one Classic and three “Frugal Tours”, a new trip category, as well as international trips to northern Spain and Taiwan. It will also extend its season 2014 popular Lewis & Clark Series with Parts 3 and 4. And back by popular demand is Methow Valley Cross-Country Ski Tour in Washington. Prairies to Pines Epic – Oregon: Ride from Bend, OR, north and east through the Painted Hills, John Day Fossil Beds, Strawberry Mountain Wilderness, Wallowa Lake, Eagle Cap Wilderness, Hell’s Canyon and Central Idaho’s high pastures. If the geologically diverse terrain doesn’t steal hearts, the roads will. Departures are June 20 and July 5 for nine days at $3,595 per person double. http://bicycleadventures.com/destinations/oregon-bike-tours/Prairies-to-Pines-Epic—NEW! Palm Desert Classic – California: Ride through Joshua Tree National Park’s realm of desert flowers and golden rock outcroppings. Explore the Coachella Valley. Lounge by the pool under a palm tree. Here the winter blahs disappear with 354 days of sunshine per year. Departures are Mar. 16 and 23, and Oct. 19 and 26 for five days at $2,795 per person double. http://bicycleadventures.com/destinations/california-bike-tours/Palm-Desert-Classic—NEW! Epic Tours promise rides of minimally 70 miles a day through phenomenal scenery, plus deluxe dining and lodging. “These tours are designed for avid cyclists who like nothing better than to ride 100 miles/day through spell-binding landscapes, with plenty of surprises, challenges and climbing,” said Todd Starnes,” Bicycle Adventures Founder/CEO. Classic Tours are designed for more casual riders who like the sound of “35-ish miles/day”, plus hiking, shopping and soaking up the sun. Bend, Oregon Frugal: Otherwise known as ‘Bend on a Budget’, this tour of Oregon’s adventure capital includes riding on velvet-smooth roads, time playing in the resort area of Sunriver and fantastic rides nearby, including Smith Rock and McKenzie Pass. Departures are July 5 and Aug. 2 for six days at $2,225 per person double. http://bicycleadventures.com/tours/frugal-bike-tours/Bend-Frugal—NEW! Sun Valley, Idaho Frugal: Ride curving roads beside wild rivers. Golf, hike, river raft, shop – even taste wines and fly fish. Explore majestic, beautiful Southern Idaho, from cowboy country to Sun Valley’s bling – at a price that won’t break the bank. Departures are July 19 and 26 for six days at $2,195 per person double. http://bicycleadventures.com/tours/frugal-bike-tours/Sun-Valley-Frugal—NEW! San Juan Islands Frugal: Stay the entire time at the rustic Wayfarer Inn in Friday Harbor on San Juan Island. Feast on delightful offerings prepared by expert guide-chefs. Ride pristine island roads. Watch for whales and explore island secrets from lavender farms to artists’ haunts. Departures are June 14, July 19, August 16, September 13 for six days at $2,225 per person double. http://bicycleadventures.com/tours/frugal-bike-tours/San-Juan-Islands-Frugal—NEW! Camino de Santiago, Spain: Guests ride through Basque country pedaling the Camino de Santiago pilgrimage route, from the wine-rich region of Rioja, to the Spanish Pyrenees in the shadow of the French border and onward to the wide-open plains of Castilla Leon and Galicia’s mountains and forests. The tour ends with the awe-inspiring sight of the cathedral in Santiago de Compostela. Departures are May 2 and 17 for this 14-day trip at $4,450 per person double. http://bicycleadventures.com/destinations/spain-bike-tours/Camino-de-Santiago—NEW! 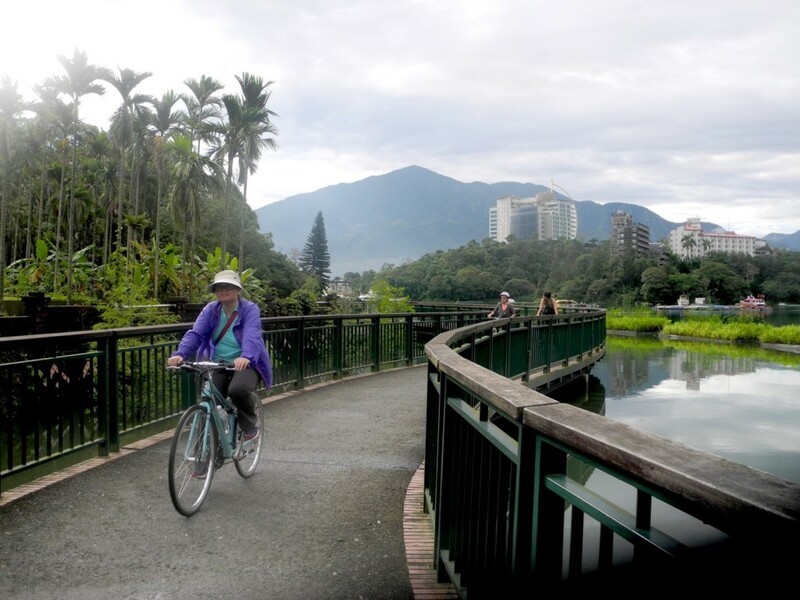 Island of Taiwan: This island nation offers a unique and safe cycling experience that begins with a high-speed train ride from Taipei at the north end of the island to Kaohsiung City in the south for the start of the tour. Along the way guests challenge themselves with one of the most famous climbs in the world, into the mountains of Taroko National Park and back down again. There are stops at the National Palace Museum, an aboriginal village and night markets, national parks and of course along the coast that rivals Big Sur. New and experienced cyclists can enjoy this 11-day trip with departures Oct. 24 and Nov. 7. The per person double rate is $3,945. Methow Valley Cross-Country Ski Tour is a six-day program beginning Feb. 8 and Feb. 22 that engages people who want to learn to cross-country ski or skate-ski or just simply hone their skills. These tours are led by seasoned Bicycle Adventures guides and cross-country ski experts Teri Smith and Laurie Stephens. The per person double rate is $2,499. http://bicycleadventures.com/destinations/washington-bike-tours/Methow-Cross-Country-Ski-Tour—NEW! Lewis & Clark (Parts 3 & 4) continue Bicycle Adventures’ Lewis & Clark Series into the Dakotas and near the Canadian border, then west again into Montana. The per person double rate for seven days is $2,675 and for six days $2,195. Departure dates are Aug. 30 for Part 3 and Sept. 7 for Part 4. For more information, 2014 and 2015 availability and reservations contact Bicycle Adventures by phone: 800.443.6060, email: office@bicycleadventures.com or visit online at: http://bicycleadventures.com/.